Our picky puppy was given a trial pack of wonderfog puppy grain free st the pembrokeshire county show. He seemed impressed so we bought some. He’s now 9 months old; a big collie cross with a glossy coat and all the energy to run and have fun that you would expect at his age. We intend to stay with this brand when he moves to adult dog food. I use this for treats during training and he loves the Wonderdog Special. Delivery was quick and ordering easy. I also met some of the staff at the Pembrokeshire show while on holiday, who introduced us to this dog food, they were fantastic too! Switched our GSD to Sneyd’s after hearing about it from some friends. The change was the easiest we’ve ever had, she loves the food, she’s had no adverse physical or behaviour problems as there have been with some other brands. If anything she’s healthier and calmer than she’s ever been. Swapped our dog to Sneyd's after meeting them at a show. Our dog eats every drop, no more fussy eating. He has become noticeably calmer and no more runny poos. He was on a premium feed before but Sneyd's suits him better. The dog is also a massive fan of the natural dried meat treats Sneyd's sell. After trying so many brands that upset my dogs delicate stomach, I have finally found Sneyd's wonderfeeds which is amazing!! I was at my at my wits trying to find a brand that never caused my dog to have diarrhea, its a life saver! I have been feeding my two dogs with syned's food for over three years and they love it, it keeps them healthy and it's good for bones and on the joints of the dogs keeping them in good shape. The condition of their coats are in good order shiny and soft. I will continue to buy this food. We were recommended Sneyds by a gundog handler we met when out shooting one day. When we were exhibiting at the Radley Hall Game Fair this year I visited the Sneyds stand and asked for something for a 'fussy' eater. Our little cocker is not a greedy dog and really does not eat very much. They gave me four or five samples all of which I opened in front of our cocker, she started eating the Wonderdog Special and has done ever since. We do not have a Sneyds stockist near us, so I ordered at 15kg bag online which was delivered the next day. Excellent service. Swift delivery, and superb customer service, they rang me when they were aware of a delivery issue, U.K. Mail issue... and they sorted it themselves highly recommended. Just got the bag of dog food which came very quickly. Our dogs, two Whippets, are fussy eaters but they went straight for it. Met the people at the Pembrokeshire show and they showed great product knowledge and spent the time discussing our needs. Would recommend. I was introduced to Sneyds wonder feeds at the Pembroke show this summer, I am completely converted next day delivery, My beaded collie pup is loving the puppy food, I am just about to order for our three year old beaded collie, Its a shame you don't sell cat food as well because we would buy that from you, fantastic dog food. We learnt of your product at the Royal Cornwall Show... Our pup is now 6months and loves the Premium Puppy food and the meaty treats. It's great value for money, way cheaper than most premium products, great quality food and so many people have complimented us on how lovely and shiny our girls coat is. Also speedy delivery of products. 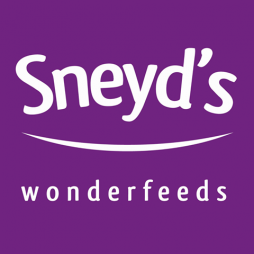 We were so impressed with the entire service we received from Sneyd's Wonderfeeds. After receiving a voucher from Pembrokeshire show and entering the details we unfortunately experienced a technical glitch (our fault entirely) and lost the redeem code. It was a Sunday and we contacted wonderfeeds to ask if there was any way we could have another code, the response was within 15 minutes!!! Ryan, who kindly dealt with our problem communicated throughout the day, this really impressed us as it was a Sunday, he arranged to call the next day at a time that suited us to place the order. We placed the order and it arrived the very next day which was just fantastic! 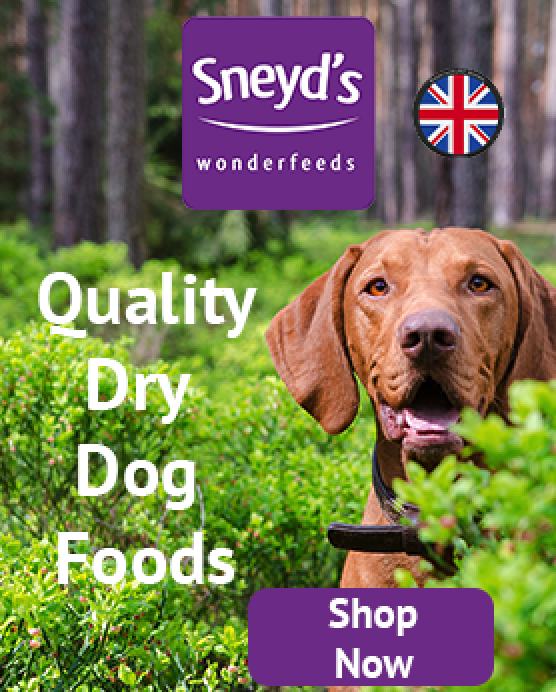 Our Labrador Molly absolutely loves the food and we cannot praise Sneyd's Wonderfeeds enough. We will definitely be purchasing again! I have a black Labrador who is almost 14 years old and needs to keep weight on, teeth aren't what they were and has had a potential liver issue in the past. She also suffers from elbow displacia so I have to take into consideration her joints. I feed her Wonderdog Special. As the ingredients are natural there no harm to her liver, the food isnt bone dry so is soft enough for her to eat comfortably and she is thriving, still able to enjoy long walks and swimming. I have a chocolate lab who is almost 4, is prone to putting on weight and who walks miles every week so needs energy. I feed the same Wonderdog special and she is full of vitality and health. I cannot fault this product, its great being able to use one bag of food for both dogs. The service and delivery from Sneyds is excellent. I would highly recommend Wonderdog Special. I was recommended you by a friend of my fathers who uses your food for his gun dogs. my dogs are pets as opposed to working dogs, they are both border terriers, one year and nine years old respectively. The older dog has become picky about food over the last few years and ! am constantly changing his food brand just to get him to eat. I tried a sample pack of both the Hypoallergenic chicken and rice and the prime lamb food, both seemed to be a hit. I have been feeding my 2 westies and collie cross the sneyds wonderdog special for the last 8 years since starting agility and finding out that the training club I attend were stockists. Its great value for money food and excellent quality I wouldn't consider any other food. All 3 of my dogs are far more active for their age than my previous dogs before I heard about sneyds and their coats are always glossy which is important as some foods can cause skin and coat problems. By far the best food I've ever fed my dogs. Our 2 rescue Beagles have very sensitive tummies and can be incredibly windy! Not only do they love their new food (as do our 2 other dogs - a Beagle and Spinone) - but their tummies are much happier - and so are we! All tuck into their Salmon and Potato food with relish - even our poorly 9-year-old Beagle, who is a bit picky these days! I've tried the food myself - and it's very tasty! Won't make a habit of it, though! Great value, too! 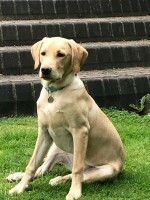 I moved my retriever from Skinners to Wonderdog puppy feeds just to try it out and I have been very impressed. The food is the highest quality, the dog enjoys it and his condition is fantastic on it. I have no hesitation in recommending it. Found this company at Yorkshire show, I was at the time looking to change my dogs food from well beloved. Came across racy show very helpful my dog is a 3 yr old boxer and has a slightyly sensitive stomach as the breed does every so often they advised the hypoallergenic range when for turkey and rice she loves it so much better on this range she's also tried the salmon so will get some of that next time for a change. Overall brilliant great prices also! Discovered this dog food at the Royal Cornwall Agricultural Show. I had been purchasing a very expensive veterinary diet for my boy as he has a sensitve digestion. I tried a sample bag of the Gourmet Fish & Potato and then a small bag - all going well so purchased a large bag online. Very impressed with the food, my boy loves it and it seems to work for him, he has lots of energy and his coat looks fab and more importantly no vomiting or loose poos. The price of the food is very competitive and affordable. The online system was great and I was very impressed with the speedy delivery and the delivery company followed our instructions for where to leave the food when we were out. Thank you. Found Sneyd's at the Yorkshire show. 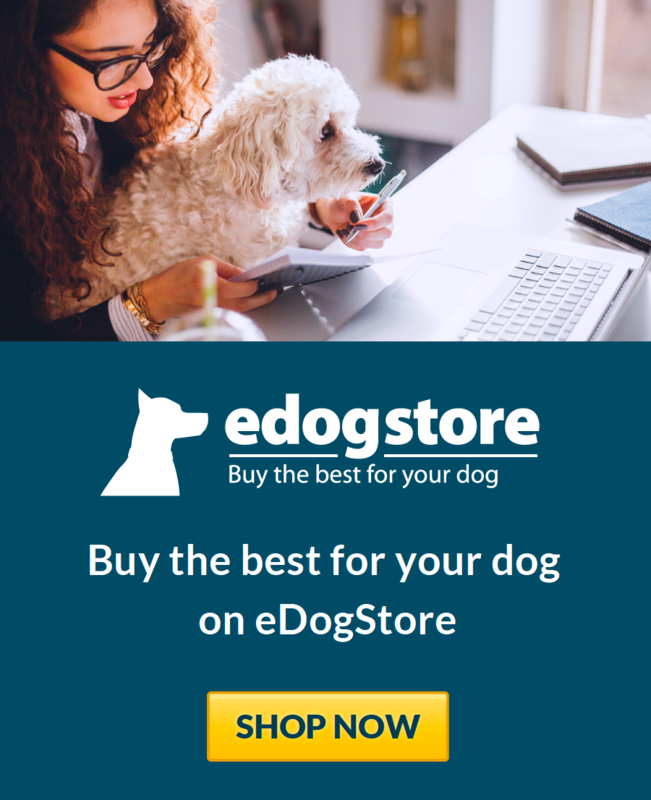 The staff were very informative and helped us find the correct food for all 5 of our dogs, including what worked best for our working dogs , our pet dogs and our budget! Delievry id great too! Very happy with the food so far and our dogs love it too! I found this company when we were at the great yorkshire show. The man who helped me find the food for my dog absolutely loves it!! My dog ted didnt eat his food that i bought him (james welbeloved). Ted goes to my parenta everyday so he isnt by himself when i go to work and spends time with her dogs and even her dogs cajt get enough of it!! If you havent tried them yet, you must!! I get the original!!! So now between my mum and myself all 4 of our dogs cant get enough!!! Tried a sample bag. Looks good. I am impressed with the look and feel I wanted to try something different. I changed our GSP onto Sneyd's about 12 months ago after talking to their team at a game fair. Our dog had a skin condition and like most GSP liked her food. Since we changed her coat is now glossy and healthy and she is not looking for food every 5 minutes. I never like buying over the internet but with the 3 greats, quality, service, price why would you go anywhere else. Great food, good value and speedy delivery and great service. I was given a sample at the Kent county show . My cross breed dog smokey loved it.So I him brought a full bag. Would recommend.